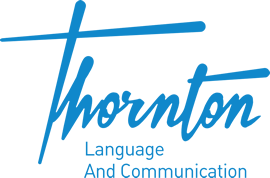 My name is Benjamin Thornton Barclay, trading under Thornton Language and Communication. I am a freelance sole trader (trabalhador por conta própria) providing translation, interpreting, and language services. I am based in Lisbon, Portugal, a member state of the European Union. For this reason, my services are subject to the requirements of the GDPR (General Data Protection Regulation) which came into force on 25 May 2018. Personal data collected may include your name, postal address, email address, telephone number, national insurance number, and VAT number. Personal data may also include banking details or information on documents sent for the express purpose of translation, proofreading, or to prepare for an interpreting assignment. All data is processed on a password-protected computer or a password-protected notebook. Both devices are also protected by an antivirus. Moreover, data is not accessible by third parties: as a member of the ITI, APTRAD, APIC, and an AIIC pre-candidate, I am bound to the strictest confidentiality. I do not use your personal data for marketing purposes, nor do I disclose it to unauthorised third parties. As a sole trader, I may use your contact details to let you know of my availability, when I am out of office or to update you about professional changes. The legal basis for processing your data is to perform translation, editing or interpreting services you request or to take necessary steps prior and after fulfilling that request (preparing quotes and invoices), which may involve collaborating with another translator or interpreter(s). This basis also applies if you provide me with a service. If I collaborate with another translator on a text containing personal data for translation or proofreading, I will ensure the colleague is also GDPR-compliant and ask them to process the document accordingly. Moreover, my regular collaborators have signed a DPA document, and new collaborators will be asked to sign one before our first joint project. For administrative purposes, other parties, including the providers of my cloud backup, CMR software, website and email hosting services, may have access to your personal data. All these parties are also compliant with the EU General Data Protection Regulation. I will keep personal data, quotes, invoices, contracts, original documents, and translations for 12 years, the longest legal period pursuant to Legislative Decree 2/2014, Article 123, unless you ask me to delete or remove it sooner. Should you ask me to delete translations before the 12-year period has expired, I cannot be held responsible for queries or claims relating to the content, as I have no way of verifying the accuracy of the original content. I will store the abovementioned data and documents on my computer’s hard drive/memory for the duration of an assignment or the end of a calendar month. I will then transfer them to two regularly updated external hard drives. If you have any concerns about how I process your personal data, please contact me. You also have the right to lodge a complaint with the supervisory authority in Portugal (the CNDP) or in the country where you live.